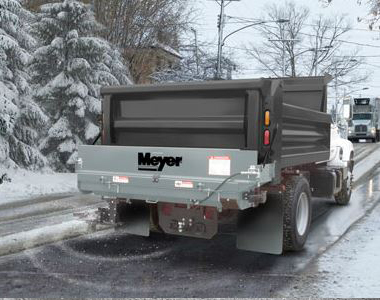 Attach this Meyer BL960 Salt and Sand Spreader under the tailgate of your Dump Body truck for optimal spreading performance. Decreased maintenance and high performance is offered Direct drive hydraulic motor that works off of the vehicles central hydraulic system. Spread up to 96 inches for a wide spread pattern. And, a hinged top cover protects the spreader during normal dump body operations. Stainless Steel Construction: Receive durable, trouble-free service with the stainless steel construction. Direct Drive Hydraulic Motor: Decreased maintenance and high performance are both offered with the direct drive hydraulic motor that uses the vehicles central hydraulic system. 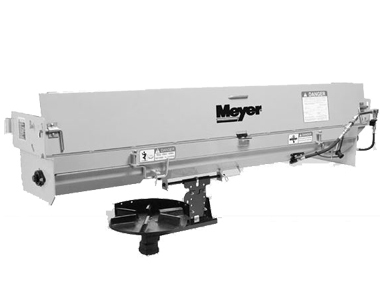 Spread Width: Spread salt or sand at a concentrated 96 inch width. Vehicle Applications: Attach this to your dump body truck. 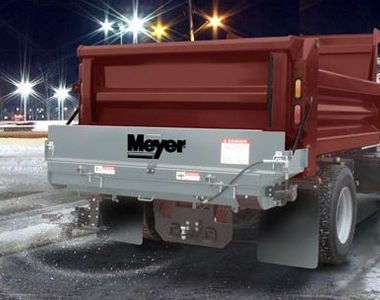 Hinged Top Cover: Protects spreader during normal dump body operational, and allows the dump body truck to function normally when the spreader is not in use. Hydraulic Safety Interlock System: Disables the auger when the bottom door is opened for safety during maintenance and cleaning. Bottom Hinged Door: Clean out and blockage removal is easy with the bottom hinged door. 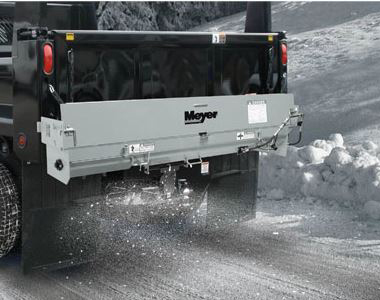 Ask us about the Meyer BL960 Under Tailgate Salt Spreader. Please no repair questions. Your Q&A may be posted to SnowblowersAtJacks.com to help other shoppers, like you, with their purchasing decisions. Thank you.